Hometown: Absecon, New Jersey, U.S.
Unit: Army, 1st Battalion, 505th Parachute Infantry Regiment, 3rd Brigade Combat Team, 82nd Airborne Division, Fort Bragg, NC. Sam spent his early years in South Carolina. As a teenager, he moved to New Jersey to live with his father and he attended Woodbridge High School in Middlesex. 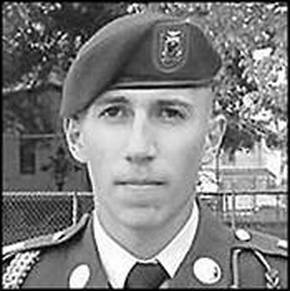 He joined the United States Army in 2004 and was assigned to the 1st Battalion, 505th Parachute Infantry Regiment, 3rd Brigade Combat Team, 82nd Airborne Division, Fort Bragg, N.C. He served in Afghanistan from September 2004 to November 2004. He received the Army Achievement Medal, the Army Good Conduct Medal, the National Defense Service Medal, the Iraq Campaign Medal, the Global War on Terrorism Service Medal, the Army Service Ribbon, the Combat Infantry Badge, the Expert Infantry Badge and the Parachutist's Badge. He is survived by his wife, Tiffany Brooke Rateb; a stepson, Jason; father Mohamed Rateb of Brigantine, N.J.; mother Erzsebet Howell of Summerville, S.C.; a brother, Mahamed II; and his grandmother, Naima Retab. BRIGANTINE, N.J. — A 22-year-old soldier from Brigantine based in North Carolina died in Iraq from injuries he sustained during a non-combat related incident, the Department of Defense said May 9. Sgt. Sameer A.M. Rateb, who was supporting Operation Iraqi Freedom, May 6 at Forward Operating Base Summerall in Bayji, Iraq. The cause of his death is being investigated, military officials said. 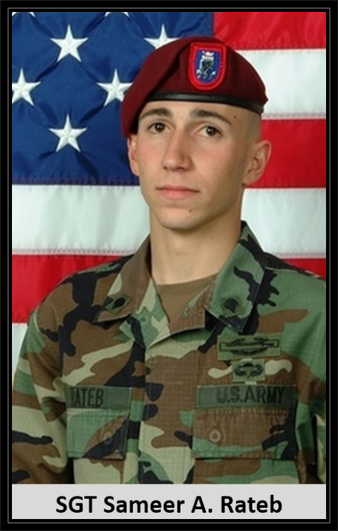 Rateb, who joined the Army in March 2004, was assigned to the 1st Battalion, 505th Parachute Infantry Regiment, 3rd Brigade Combat Team, 82nd Airborne Division, at Fort Bragg, N.C.
Rateb, who was on his second deployment to Iraq, had received the Army Achievement Medal, the Army Good Conduct Medal and the Iraq Campaign Medal, among other awards. 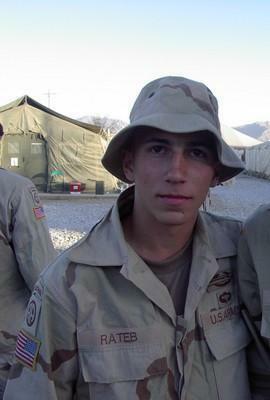 According to his father, Rateb would have been on leave from Iraq as of May 1. In addition to his father, Rateb is survived by his mother, Erzsebet Howell; his wife, Tiffany Brooke Rateb; and a stepson, Jason.